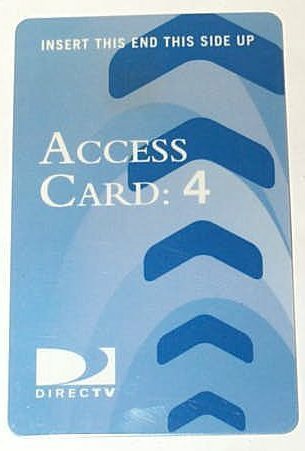 A DirecTV access card is a type of electronic card, roughly the size of a credit card, which provides programming to subscribers. DirecTV access cards may be provided to a customer along with his/her receiver box or separately, but must be activated before any programming can be used. When the user chooses a package and provides DirecTV with a payment method, DirecTV will activate the access card, which can then be inserted in the top-right corner of the DirecTV receiver box in order to provide programming to the subscriber. A DirecTV access card is a magnetically programmed plastic card that is encoded with a list of channels and services that a DirecTV subscriber has purchased, as well as his/her account information. Although a DirecTV access card can be removed and replaced in the user’s receiver box, it should generally be left in the receiver box after purchase of services is complete as the user will not have any service when the access card is not in the receiver box. Additionally, DirecTV access cards can only be used in one receiver box, so removing it is unnecessary until it is returned to DirecTV. DirecTV access cards are responsible for maintaining a subscriber’s services and programming and can also be used to add additional services to the user’s account. DirecTV access cards can and have been hacked and reprogrammed for much of the past decade, prompting DirecTV to start a campaign to efficiently crack down on more than 25,000 unauthorized users who were found to be receiving DirecTV programming for free. To minimize the risk of unauthorized use, DirecTV issues new access cards every two years. My husband developed lung cancer while we were in Fl. This winter, he is unable to go back to our home in Michigan . We had our direct tv. Put on vacation before we left. Since he can not go back, we canceled our service, and they told us to remove the card and send it back, however I don’t know where to send it. Could you please send the address where it is supposed to go? Thank you for your help. Is there a Dish Network TiVo? 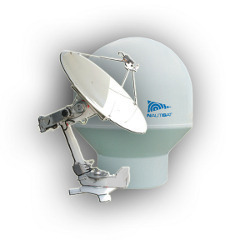 How Do I Align a DirecTV Satellite Dish? 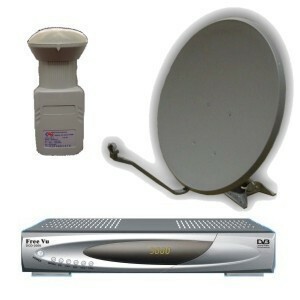 What Are the HDTV DirecTV Satellite Tuners? 282 queries in 0.317 seconds.